SNAFU! : Self Defense News. If you can't carry a gun, at least carry a knife! Self Defense News. If you can't carry a gun, at least carry a knife! We all know how dangerous the wilderness can be, well late last month this hiker, Nate Edmonds, found out just how true that was. 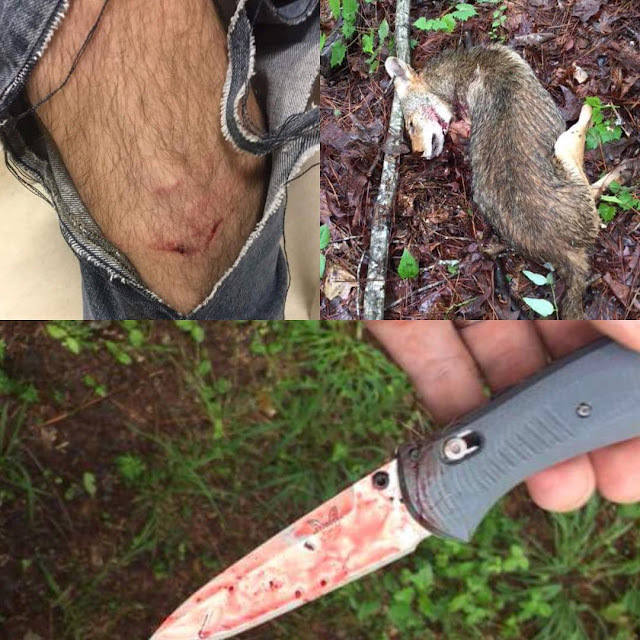 Nate was attacked by a coyote, that later tested positive for rabies, while hiking in Jones County and used his Benchmade to get to safety.